Saxo Bank, the specialist in online trading and investment, is launching a new Forex Content Sharing Program, with a suite of freshly-designed Forex widgets that bring real-time FX prices, charts and commentary, to any website or blog. The new Saxo Bank Forex widgets are ‘mini web pages’ that add live, continually updating FX content to a website. 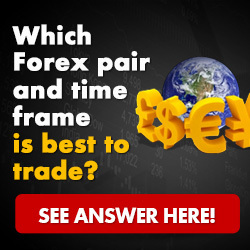 Seven customisable web widgets, including a Forex Quote List, Currency Converter, Forex Ticker, real-time Forex Chart, Economic Calendar, Price Alert and Market Call videos, are now available to webmasters and bloggers who register as Content Sharing Partners. Each widget is based on Flash components, making it simple to add them to any platform, including Facebook, WordPress and Blogger. Widgets are becoming increasingly popular as internet tools, and the new Forex tools (http://www.saxobank.com/en/csp/home/pages/default.aspx ) from Saxo Bank will allow users to add live Forex content to any website, whether it’s a financial site, an FX trading blog or a travel site offering its customers real-time currency conversions. The financial widgets (http://www.saxobank.com/en/csp/home/pages/default.aspx ) are available to webmasters through the Saxo Bank website, so that they will be able to implement them with their own website or blog. Once the blogger or site owner has registered as a Content Sharing Partner, they can then customize the widgets and place them onto their site within minutes. Saxo Bank is an online trading and investment specialist, offering Forex and CFD Trading (http://www.saxobank.com/en/trading-products/cfds-stocks/pages/online-cfd-trading.aspx ) as well as Stocks, Futures, Options and portfolio management services. The leading online platform, SaxoTrader, is available directly through Saxo Bank or through one of the Bank’s global partners. White label Partnerships are a significant business area for Saxo Bank and involves customised branding of the Bank’s online trading platforms for other financial institutions and brokers. Saxo Bank has more than 120 White Label partners and serves thousands of clients in over 180 countries. Saxo Bank is headquartered in Copenhagen with offices in Australia, China, the Czech Republic, France, Greece, Italy, Japan, the Netherlands, Singapore, Spain, Switzerland, UK, and the United Arab Emirates.